The Undercover Reversible Underbelt by CrossBreed combines our top quality gun belt double layer design with a Velcro lining allowing for use with a duty belt or reversed as a great concealed EDC belt. CrossBreed designed this belt in conjunction with LEO’s who were unable to get an under belt to wear on duty that would help support their gear. This belt has shown through testing to more evenly support the duty belt and gear our first responders wear everyday. Whether you are on patrol, fighting fires, or carrying off duty, this belt can be used as an everyday carry belt or as a reversed Velcro under belt. This belt also works great as an under belt for competitive shooters to support the quick change Velcro competition belts. As with all belts by CrossBreed®, this belt is made utilizing American tanned Herman Oak top grain cowhide and lined with premium hard rolled leather with stitched cross grain creating a strong sturdy carry belt. Each belt has recessed stitching and is hand buffed, burnished, and treated. The belts will be approximately ¼” thick resulting in a strong belt with superior support for your carry needs, while still offering flexibility for comfortable every day wear. The Reversible underbelt is fully lined with soft loop Velcro®. There is no metal in its construction so this belt is ideal for persons working in Security or Corrections for ease of passing through security points when an external duty belt needs to be removed. The Reversible Underbelt is offered in 1.5" width only and comes in black or brown. Because there are no holes or buckle, the sizing for the Velcro® belt are a bit different than the standard belts. 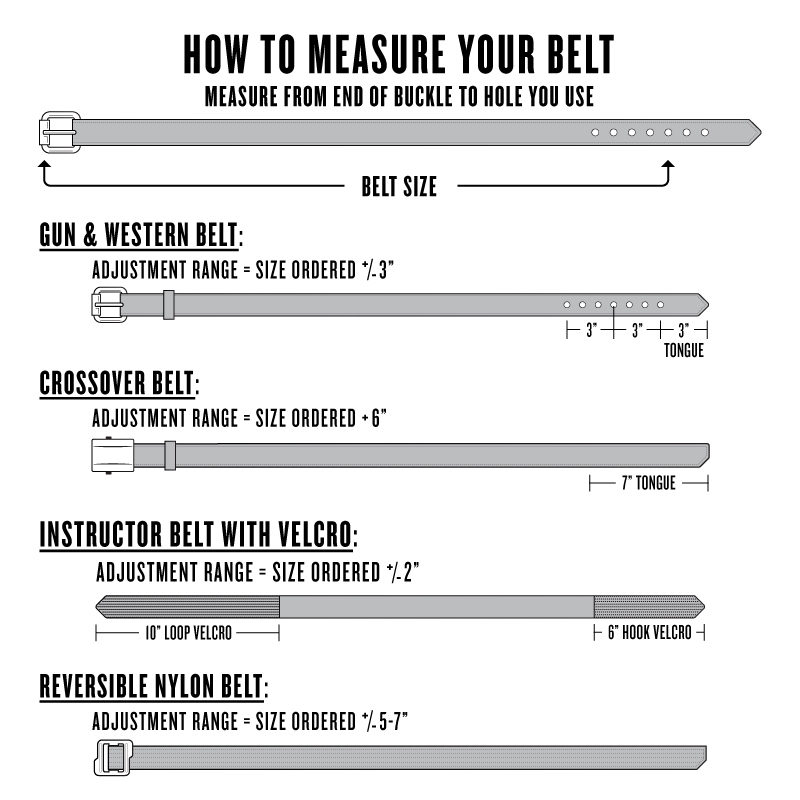 You will still need to measure your current belt or waist as demonstrated on our belt sizing videos and instructions to determine your actual waist size. After you have your actual waist size, you will select the size range that is best fits your needs. The size you choose corresponds to the center of the hook Velcro® and the center of the loop Velcro® alignment. Each Velcro® belt has 6” of hook Velcro on one end and 10” of loop Velcro® at the other, this allows for a very broad range of adjustment. Our goal is for the Velcro® to just overlap itself with no hook Velcro® being exposed. Allowing you to increase or decrease the maximum adjust ability of the belt over time. Your Velcro® belt will be stamped with a number that corresponds to the size range you selected when ordering. If you need assistance with belt options and sizing questions, kindly contact our customer service department at 888-732-5011. Please Note: DO NOT use your pants size as your belt measurement or order a desired size from buckle to tip. This will give you an incorrect fit. 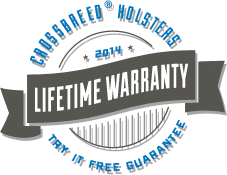 **SIZING ERRORS - We ask our customers take the time to accurately measure for the correct fit before ordering a handcrafted belt. Our craftsmen take great care to ensure your belt is correctly sized as ordered. All sizing error exchanges will be subject to a $10 processing and reshipping fee. Exchanges will be accepted during the two week trial period only. **BELT ADJUSTMENT - After the two week free trial, there is a charge of $25.00 to have a belt cut down to a smaller size. The Reversible Underbelt can be cut down in any increment.